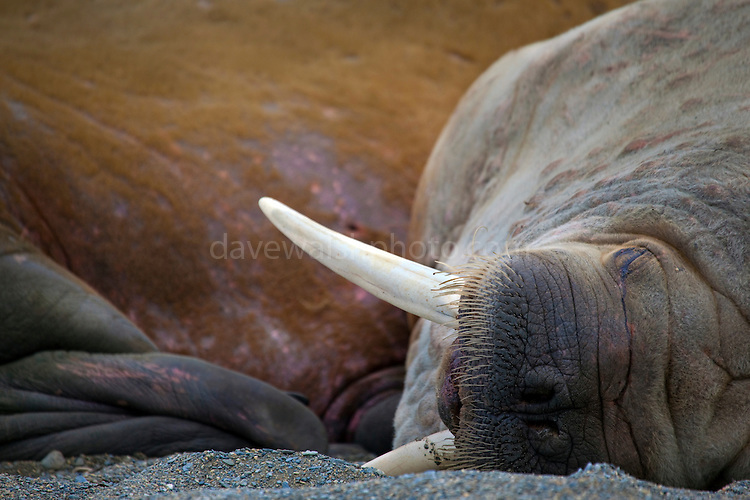 Walrus taking it easy, Odobenus rosmarus at Poole-Pynten, Prins Karls Forland island, Svalbard. However, walrus almost became extinct in Svalbard after 350 years of heavy commercial exploitation - for ivory. They were finally protected in 1952, when only a few hundred remained. Half a century later, despite increases numbers are remain low, and the Walrus is still on the Norwegian National Red List.